I love this time of year...seasons changing and the holidays are just around the corner...I'm working on some "harvest time" new items and then on the Christmas ornaments....all of this plus I've been veryt busy getting ready for Atomic Holiday Bazaar . This is a really cool independent crafters show in Sarasota, Fl. It's December the 10th and 11th. I've gone two years as a shopper and this year decided to submit my little creations for approval. I was greatly pleased when I got the news that I was picked to participate in the show. This will be my first real event and it is taking me 6 months to prepare. 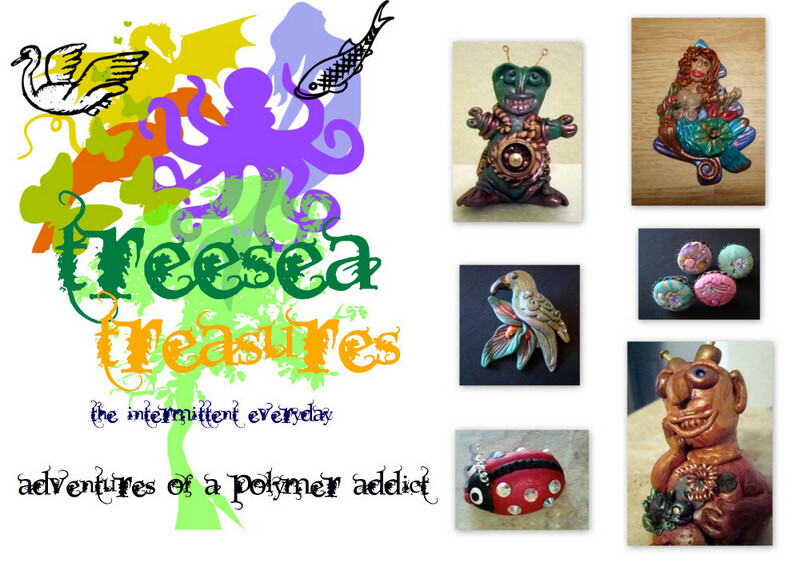 I will have lots of one of a kind items including jewelry, cards, wine bottle stoppers, treasure boxes and critters. Be sure to watch here for pictures and updates! It seems that when things happen, they all happen at once. I recently added some new items to theWhite Rabbit Antique and Collectibles store and have been fortunate to have my wine bottle stoppers at the Laughing Ladies. Both stores are in Brandon, Florida and provide a wonderful shopping experience if you are looking for an unusual gift for someone. I did a few Halloween Bottle Stoppers and they are hits! Don't worry, if you are not a wine drinker, these bottle stoppers come with a little candy jar that you can place them on as well as a wine bottle. 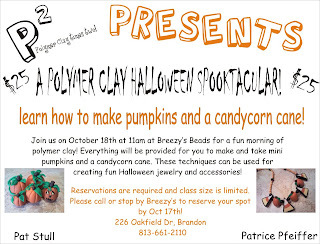 Last but not least, my friend Pat and I did our first "Introduction to Polymer Clay Class" at Breezys Beads. This is my favorite bead store! 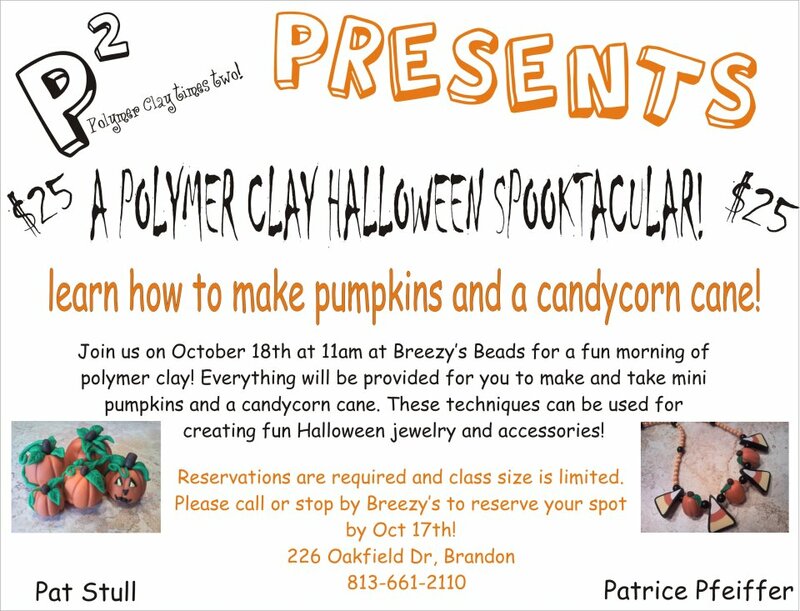 They have a nice room in the back and we had three people for the class and everyone left with a pendant and earrings.We made some new friends and are going to try another class next week at Breezy's, this time making pumpkins and jack o lanterns. Be sure to sign up early, as the space is very limited. Well, that's about it for now....I'll be back in a few days to post my entry in the B'Sue Boutiqe sari ribbon blog hop....be sure to check it out.